Free printable origami paper makes it easy to start exploring the art of paper folding. You simply choose the design you want on print it onto the paper of your choice. For good results, it is recommended to use paper that is 60-80 GSM. Regular white printer paper will do just fine. The quality of your printer and the ink levels will affect the final result of your printed origami papers. The photo above is of the Origami Bunny Rabbit designed by Ken Yonami. ​If printing and cutting out squares isn't your cup of tea, there are different types of paper you can use instead. Origami doesn't need to cost any money. 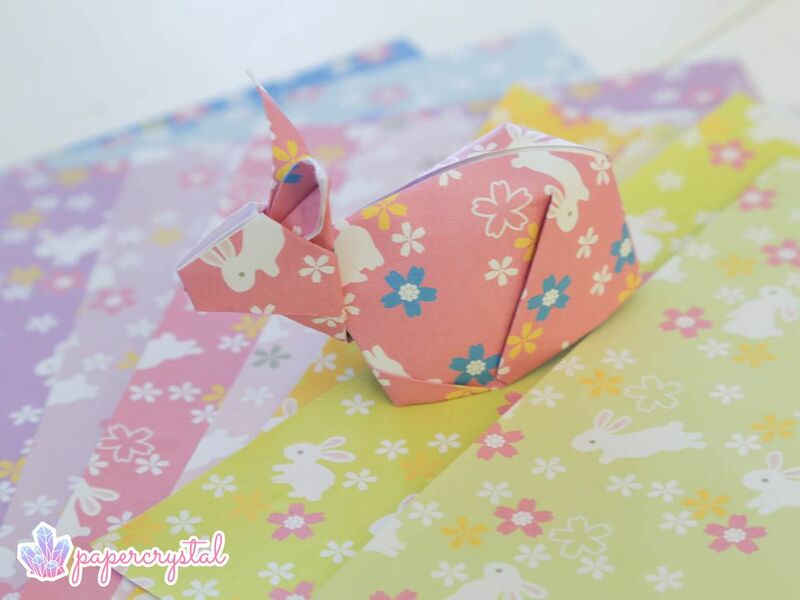 Paper Crystal has many different origami papers that you can download and printout for free, including this rabbit pattern. Remember to print the graphic using the high quality settings on your printer to ensure the most pleasing appearance for your final origami project. The Japanese Seigaiha or Wave pattern, this is a very classic origami paper pattern. Remember to print the graphic using the high-quality settings on your printer to ensure the most pleasing appearance for your final origami project. Another classic Japanese pattern, the Asanoha -- or hemp leaf -- pattern. This is a pretty Peony flower pattern, available in many different color variations. This free download is in a crystal pattern, which is available in lots of different colors.